How Often Should I Clean My Carpeting in Langhorne, PA? Since your indoor carpeting is one of the most expensive home decorating items you have probably ever invested in, you are very wise to ask the question: how often should I clean my carpeting in Langhorne, PA? The IICRC, the Institute of Inspection, Cleaning, Restoration and Certification is an agency that trains and also monitors carpet cleaning technicians in Pennsylvania and throughout the entire United States. The IICRC has some very specific recommendations when it comes to scheduling your carpet cleaning and here is what they have to say. Everyone should have their carpets cleaned one time each year, even if you are single and live alone. Pollens, dirt, and other pollutants enter your home through open windows and doors, and these pollutants settle in the fibers of your carpet. Even though your carpeting may not appear to be dirty, the debris is there and will begin to affect the air quality in your home. Families with small children and pets, or families that include a smoker, really ought to have their carpets cleaned two times a year. More people and little creatures coming in and out of your home obviously increase the amount of dirt and allergens that get tracked inside. Large families, families with more than one pet, and families with multiple smokers should have their carpets cleaned quarterly or four times each year. If this seems like a lot of work to you, well, it is! Why not let OxiGreen Carpet Cleaning in Langhorne, PA do a 100% green, professional carpet cleaning job for you? We have same-day appointments for all of our residential and commercial clients. We offer a 100% satisfaction guarantee: if you are not entirely satisfied with the cleaning job we do for you, we will come back out and make it right! 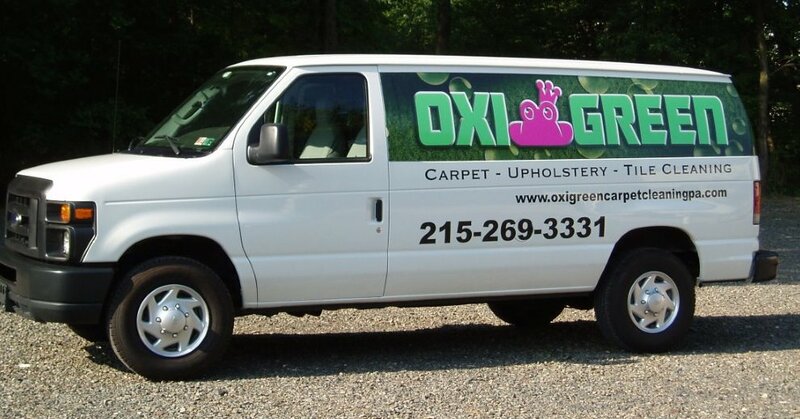 Call OxiGreen in Langhorne, PA at 215-269-3331 for all your carpet cleaning needs.